The first packaging has been released with the Cincinnati Reds (below). Normally, Ativa Esporte talks about best practices in activation. However, this time, we´ll discuss the potential of a recently signed partnership. In the early days of 2010, an agreement between Scotts Lawns and Major League Baseball was announced. With an unprecedented number of stadiums using natural grass (28 out of 30), the fit and the possibility of success are enormous. 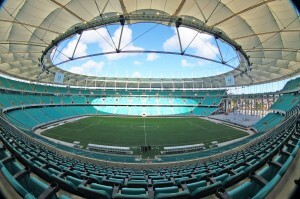 Out of the blocks, the company is launching seeds and fertilizers of each of the 28 stadiums. 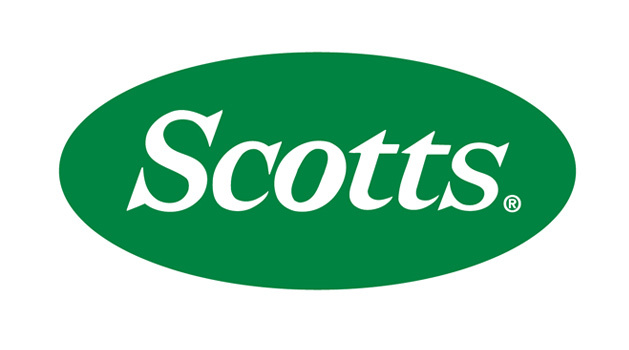 Let´s wait and hope to, soon, have a post here about the Scotts promotions on baseball and the MLB sponsorship (and not croquet, like the video below). Any suggestions to the company´s marketers? 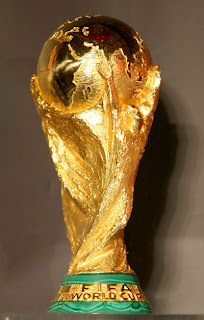 Coke is the FIFA World Cup Trophy Tour sponsor and uses the tool in several ways. The visibility, of course, is guaranteed. But the brand goes beyond, way beyond. 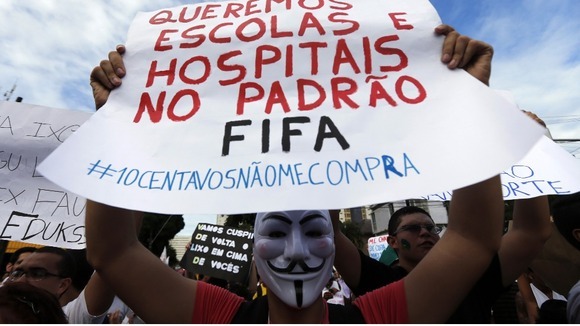 In Brazil, for example, it’s generated a great buzz. 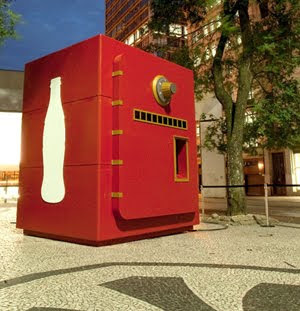 With the upcoming arrival of the trophy, Coke put a giant safe in one of the busiest São Paulo squares (below). The passersby who answer correctly to 10 World Cup related questions get to see what’s inside it. Apart from that, the company is using the visit to boost Sales and strengthen its relationship with partners from several sales channels. To get tickets to see firsthand the coveted trophy, people need to buy Coke products in McDonald’s, Wal*Mart and Cinemark stores. Take a look at a video of the African trophy tour. E.on is an energy company that sponsors the FA Cup and found a very clever way to leverage this association. The company created a campaign that explores a word play with “save”, using Portsmouth and England international goalkeeper David James (image above) to embrace a class of players often forgotten by the main sponsors: the goalkeepers (with a few exceptions, such asOliver Kahn and Peter Czech).The campaign encourages people to share their energy savings practices, rewarding the best with a trip to the FA Cup final as a mascot, with pitch access (a priceless prize). It is supported by an excellent website that plays the whole time with “save”, honouring the great keepers that took part in the British competition, with videos such as the Jim Montgomery’s below. With this strategy, E.on not only activates its FA Cup partnership, but appropriates a category of players almost forgotten by most companies. Adidas launched the 2010 World Cup ball just hours before the group draw to take advantage of the noise around the event. To further amplify its launch, displayed an exhibit of giant models of the balls used in every World Cup since 1970, when the company started its partnership with FIFA, just outside the auditorium where the draw was taking place (below). The generate expectation on the new ball design, the company put it on the exhibit, that started weeks before, covered with black fabric (below) until the date of the events. 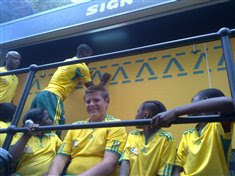 The concept of giant balls was also used on the ponit-of-sales, in a model shop close to the place where the draw took place, which received exactly 2010 Jabulani (the name of the new ball) for sale (below). In order to generate involvement with the media, Adidas sent daily newsletters on a countdown to the launch, providing information about each of the balls previously used. Adidas found a spectacular way to engage the South African people and raise the expectations and the excitement around the World Cup. A giant jersey of the team managed by Carlos Alberto Parreira will travel around the country, inviting people to sign it (above). Through the campaign website, people can follow where the shirt is. The video below explains in details the promotion that will certainly call attention, generate a lot of buzz and media coverage. Arsenal certainly has much more history than Nike. However, the company found a brilliant way to incorporate the tradition of the Londoner team. The company launched the biggest football team picture (above), with 482 players and 14 managers who made Arsenal´s history, which will be exposed in the Emirates Stadium surroundings (making-of video below). Even the name was given in order to link to the team tradition: The Spirit of Highbury, the former Gunners´ stadium. The full image can be seen on the club website: http://www.arsenal.com/news/news-archive/arsenalisation-special-spirit-of-highbury. To amplify the activation, the company partnered with ESPN, that ran a poll on which car was the favourite (check out on the video below). None of the drivers won the race, but the film launching and the sport and film fans definitely did, a lot! 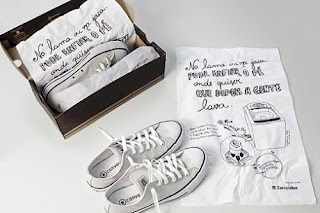 Electrolux e Tennis (shoes) – Simply Brilliant! I am going to have a little out of the blog subject (sport activation) post, but the Electrolux idea was so brilliant that it will certainly inspire us.The main feature of the new Electrolux washing machine is the tennis shoes washing function. Therefore, the company advertised its product in the paper that goes in the tennis shoes boxes of several brands and models (below). Little dispersion, creative, with guaranteed buzz, and, of course, low cost. Can you suggest any companies that could use this to activate their sponsorships? The last post was slightly out of the blog purpose. 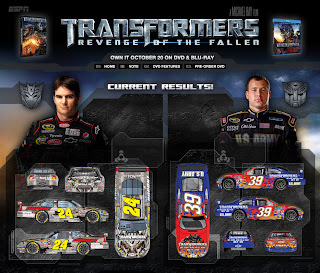 So, in this one I will talk about two very interesting activations from the same company, Gillette.With three of the young talents (Carl Edwards, Kasey Kahne e Kyle Busch) Gillette sponsors, the company plays with its website users who can make the drivers write 25 characters messages with impressive moves (below). The videos created can be shared with friends, turning users into promoters of the brand. Launching its sponsorship of the Brazilian Football National Team, Gillette put the country stars to shave themselves before a players press conference , taking advantage of the structure already set up. Timely and unusual way to promote the partnership, generating buzz and spontaneous media.